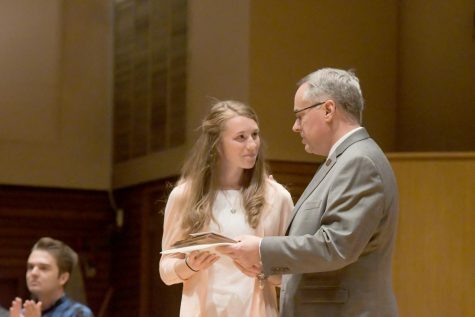 Each year, alumni from the art department return to Baldwin Wallace to share their work. This year’s show runs through Oct. 26 in Fawick Gallery in Kleist. 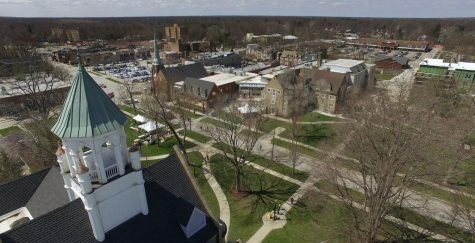 Artist Alumni will come back to Baldwin Wallace in October to display their works and create a constructive dialogue with current students. The Alumni Art Show, running from Oct. 5-26 at the Fawick Gallery in Kleist Center for Arts and Drama, will display nine alumni who have continued their careers as artists since graduating from Baldwin Wallace. The show is a homecoming, celebrating the quality of work and artistic careers of Baldwin Wallace graduates. Several alumni artists who remain local to Cleveland will be attending as well as artists who will be traveling from as far away as New York City and Syracuse. There are artists in the show who graduated in the 1970s. 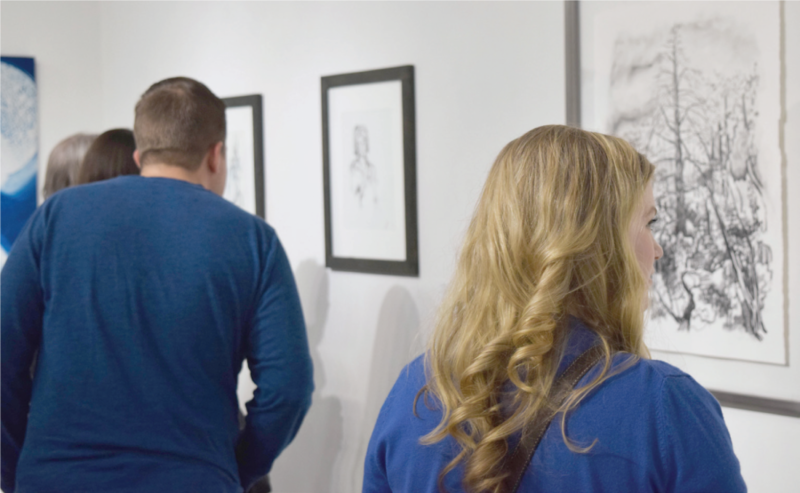 Some are more recent graduates of Baldwin Wallace, bringing a span of experiences and perspectives to the alumni show. Williamson wants students to see the various paths that the alumni artists have taken, as well as hear about the experiences they’ve had. A panel held prior to the opening on Oct. 5 allowed students to interact with some of the featured alumni and discuss education, employment, and career paths, as well as gain some inspiration. Having artists who have maintained art as their livelihood show students that having a passion to make art and having a successful career are not mutually exclusive. “It’s something that you love,” said Darlene Michitsch, chair and associate professor of the Department of Art and Art History. “It’s something that you almost have a need to do if you’re an artist, and at the same time, wonderfully, you can make a living”. Michitsch said artists are the ultimate entrepreneurs, often being the ones who start their own businesses and promote their works. 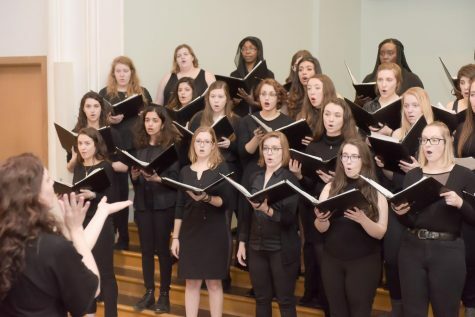 The alumni artists coming back to Baldwin Wallace demonstrate just that. 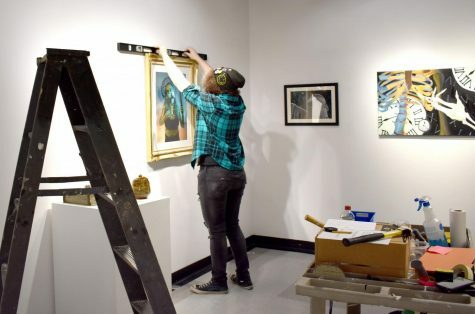 The art displayed at the shows vary across many different types of media, including painting, photography, ceramics, and blacksmithing, said Michitsch. Last year was the first emphasized Alumni Art Show, though alumni coming back for shows has occurred in the past. In last year’s Alumni Show one of the alumni spoke about his work as a ceramicist before the show, Michitsch said, which helped set a precedent for the connection, discussion, and sharing between Alumni and student artists. 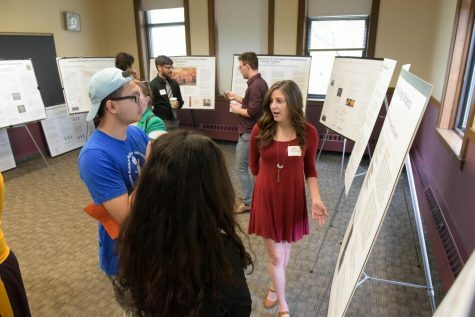 Next year it is hoped that the Alumni Art Show will be coordinated with the Baldwin Wallace Homecoming to further extend the interaction between Alumni artists, student artists, and the rest of the Baldwin Wallace community.